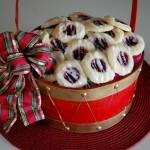 Almond shortbread cookies, filled with raspberry jam and drizzled with almond icing...YUM!! In a medium bowl beat butter with an electric mixer on medium to high speed for 30 seconds. Add granulated sugar and the 1/2 teaspoon almond extract. Beat until combined, scraping sides of bowl occasionally. Gradually add flour, beating well with each addition. Cover; chill 30-60 minutes until dough is easy to handle. Shape dough into 1-inch balls. Place balls 2 inches apart onto ungreased or parchment lined baking sheets. Using the end of a wooden spoon or Chapstick cap, press an indentation into the center of each ball. Spoon about 1/2 teaspoon of the jam into each indentation. 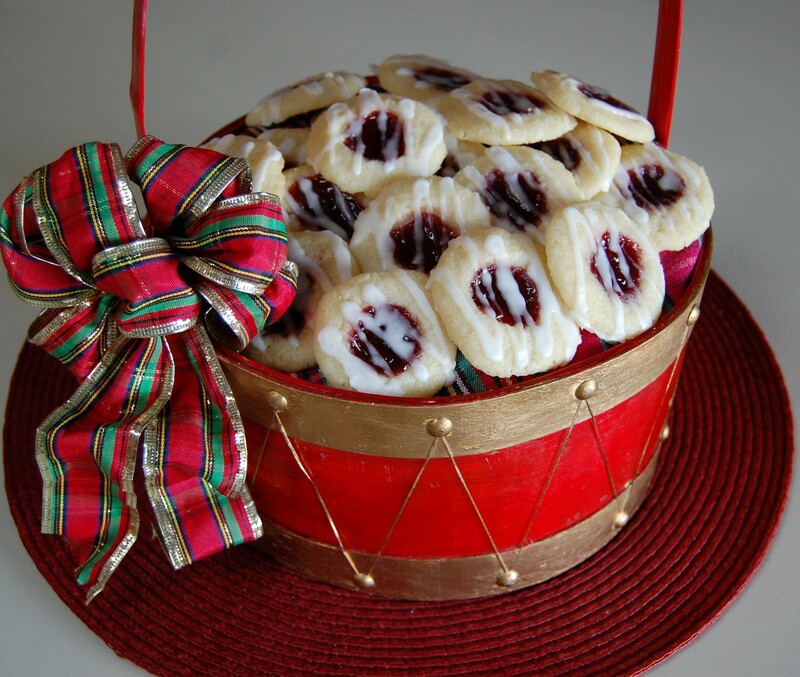 Place the jam filled cookies back in the refrigerator for 20-30 minutes before baking. Preheat oven to 350 degrees. Sprinkle cookies with coarse sugar and bake about 12-14 minutes or until edges are light brown. Cool on baking sheets, then transfer to wire racks. Meanwhile, prepare icing: In a medium bowl, combine confectioners' sugar, 1 teaspoon of the milk, and 1-1/2 teaspoons almond extract. Add enough of the remaining 1 to 2 teaspoons milk to make an icing of drizzling consistency. Drizzle cookies with icing. To Store: Layer cookies between sheets of waxed or parchment paper in an airtight container; cover. Store in the refrigerator for up to 3 days or freeze for up to 3 months.